Here in the Netherlands several stores sell RF remote switches, so you can switch lights etc. using a RF remote control. These remotes operate at 433MHz. A while ago, I made a simple library to be used in conjunction with the common 433MHz RF modules to simulate these remotes, and to use an Arduino board to switch my lights. 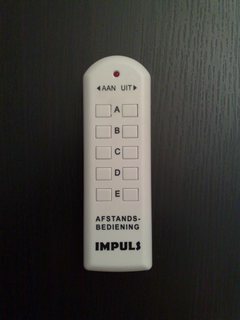 The library can simulate various remotes sold here in the Netherlands. These remote all use the same principles, and vary only in timing and specific codes. 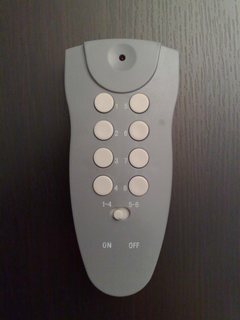 The base class can easily be extended to accomodate other (similar) remotes. I really have no idea if these kind of products sold elsewere use the same principles. Perhaps they operate at different frequencies (868MHz? ), which might work well. Anyone know if this protocol would be compatible with wireless X10 modules? A quick look indicates X10 also uses 433MHz. Its not at all clear to me what the protocol is, I wonder if fuzzilogic can say more about it. I don't know about wireless X10 (is it standardized? ), but these remotes use chips like the LP801B, HX2262, PT2262 and M3E. The datasheet of the PT2262 explains the underlaying protocol. There are also dimmers available for this system. pressing either of the on or off buttons toggles the light. Long pressing the on button cycles the brightness. The actionswitch class works reasonably for this system. For dimmers, sending on and off signals work as they should. I think the dimming cycle should also be accessible if i'd play with the repeat length. The switches however only work halfway. Switching the light ON works when sending an OFF signal, switching the light of does not work. I have a few RF Remote Relay Plugs and have managed to read and log the codes using the Show_received_code.pde. How do I transmit this code for example? Would I need the interrupts? a receiver wont be required..
//Switch on Action-device B on system code 1. 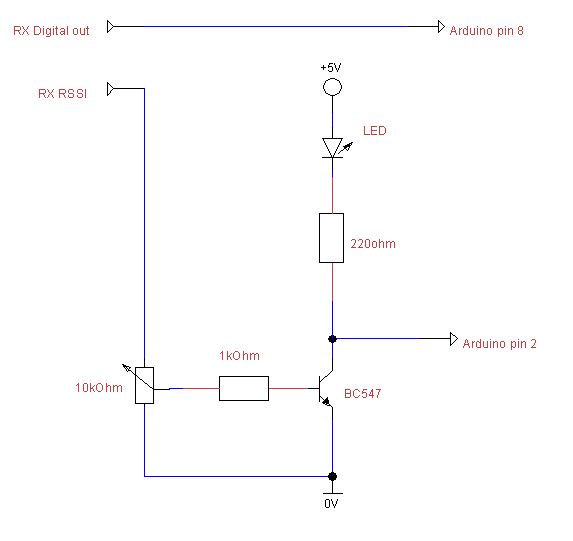 I am trying with a remote switch of another make and I am completely lost as of how to modify the code. @Morphor: I don't have a clue why it doesn't work. 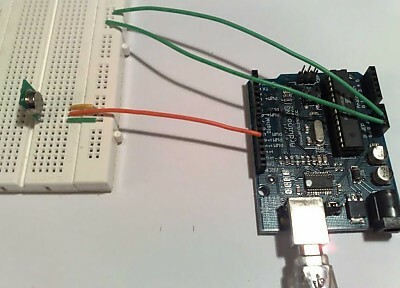 If you happen to have a second arduino, you could use show_received_code to verify that the arduino-synthesized code is identical to the real remote. An digital oscilloscope or data logger is quite handy in this kind of situations, as you can monitor the actual inputs and outputs of the transmitter and receiver. @DARRELL: have a look at the Retransmitter-example, which simply retransmits a (recognized) received code. 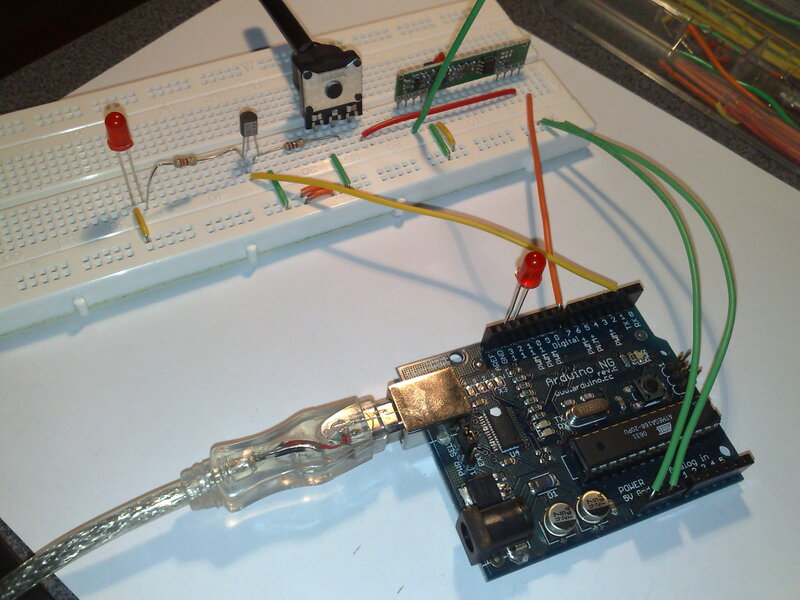 For transmission you don't need special interrupts, other than the one Arduino uses for delay(). But that one is standard anyway. This will transmit a signal on pin 11, where receivedCode and period are the values you've already found. @Marlar: "device", "address" etc are arbitrary terms used by the remotes themselves. They are all based on the PT2262-technique, and thus have 12 trits data words. KaKu for example designates 4 trits for "group", and 4 trits for "device". But other marques use different trits, don't have groups at all or use the term "address". The information in the start post is a bit outdated, but I can't edit it anymore. The current version 2.0 of the library (same link) is capable of receiving codes as well, with apart from the 433MHz-receiver no extra hardware at all! Included in the library are some examples and a photo of the (very easy) set-up. that's interesing material. Thanks for sharing. 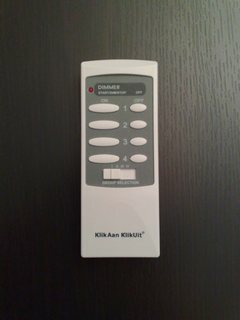 Wich kind of modulation (ASK/OOK) should be used to interface with such remote controls? My local electronic components dispenser only has ASK or OOK only emitters and receivers. Hi there, I'm a bit of a newbie to all of this, so I was wondering, do I need a separate 433MHz transmitter, or can I use the one from the remote? Also, on the Elro's I have, there's a jumper bit to encode your remote with a 5 on/off code so that you don't accidentally switch your neighbours lights off, if he has the same system. But I can't find this encoding bit anywhere in the code, so how will that work?